They agreed to continue consultations on Donbas peacekeepers. Ukrainian President Petro Poroshenko held a phone conversation with German Chancellor Angela Merkel for the second time over the past five days, according to his website. 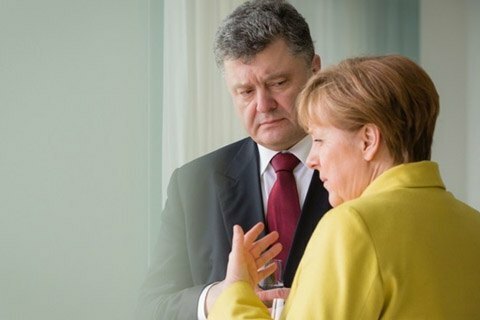 Merkel briefed Poroshenko on the results of her talks with Russian President in Germany recently. The head of state urged the international community to intensify efforts to free Ukrainian hostages illegally kept in Russia and the occupied territories. Poroshenko and Merkel agreed to continue consultations at the level of foreign ministers of the Normandy format regarding a UN peacekeeping mission in the occupied part of Donbas. They agreed to continue contacts at the highest level.